IK Multimedia • Official T-RackS Wish List! This will be the official thread for T-RackS feature requests. Please post any feature requests here moving forward. All older posts will be compiled here. This will help make sure all posts are laid out in an organized thread keeping your voices is heard. Re: Official T-RackS Wish List! What about emulations of the old Rosser EQ modules that the Rockfield Studios and Mayfair Studios used to (or apparently still) use? 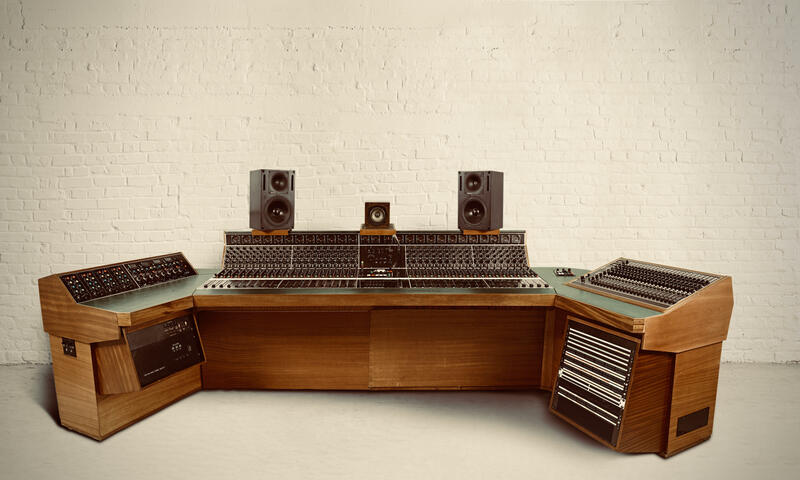 Right now, thanks to the Freddie Mercury film, everyone's freaking about Queen and Night at the Opera And All That, and that album was done at Rockfield, so maybe a digital emulation of the Rosser EQs from there would a hot item? (Lots of other cool stuff recorded back in the day at those studios, too, mind you!). They look like ye olde 3-band-type EQs and a gain knob. I guess IKM would have to do a partnership deal of some sort with either Snap or Rockfield to model a given unit -- though other manufacturers have had success with such approaches. A couple of other manufacturers have Helios emulations of one sort or another, but not (AFAIK) IKM. So perhaps whoever gets the HeliosCentric console would do a deal? Might offset the cost of whatever they pay for it! Harrison Mixbus 32c Channel strip. EQ with filters and compressor option. For instance, I have my mastering chain setup, but one of the songs just needs maybe some add'l compression, eq or saturation. Instead of going back to the DAW, itd be nice to insert an effect just to that track and leave the chain untouched. Sorry for asking the obvious, is there any reason Urei 1176 Blue Stripe has not been modeled in T-RackS yet? PLEASE IK, While working with Tracks Suite module, give us access to the module's presets instead of having to - pull down the menu, switch to "module" find the plug in, make the selection. So much easier when you have the preset pull down available on each module. Fire the guy who decided to not include the preset selector for each module while in Suite. I sound like I'm contradicting myself. I would truly like to see a simplified pull down rather than the split. That's my point. The suite should have it's own pull down above the modules, which would allow suite setups to be stored and accessed. Last edited by dsDanielS on Sat Feb 23, 2019 5:42 pm, edited 1 time in total. For new modules, add another votes to the Distressor and Harrison 32C emulations. Perhaps an update to the Black76 to include change it out to a blue stripe model as well (like the A/B functions in the British and White channels). Other tweaks I would like to see for some existing models (EQ73, EQ81, EQPA, EQPB, British and White Channels) would be UI options. There are times where I would like to pin a number of these modules up as channel strips vertically. For example, say I want an EQ73 on 12 different drum tracks, if each of those was a single vertical strip, I could pin them all up and mix away. Somewhere around 150 pixels wide and 850 pixels tall would work. I think the British and White channels would need dual width strips. Another item that could leverage existing modules would be some sort of "Frankenstrip" concept. Basically, let me choose the preamp emulation I want (Neve, API, SSL), the EQ I want, and the compressor I want all in a single GUI. I use the T-Racks suite, but I still need to go to each plugin to make changes. For example, I have a chain that uses an EQ81 into a Black76 followed by a British channel. 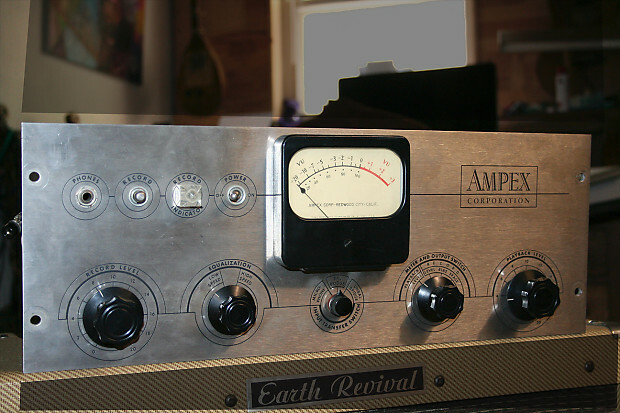 The EQ81 is predominately for the mic preamp emulation and character with gentle compression then into the SSL emulation for additional EQ, compression, gating, etc.. Being able to swap out the flavors in a single pane of glass would be fantastic. Sometimes I want an API flavor or an LA-2A up front which requires another preset, or removing and adding a module. Maybe just having the vertical options listed above would suffice and I could build a "lunchbox" preset where each plugin in the chain could be presented together so I could tweak any plugin in the chain like a strip. Anyway, those are just some thoughts off the cuff. Thanks for the products! Why is there no Equal Gain Output button on the Plug-In version of TR 5 Suite? There seems to be no way to audition the chain, processed and unprocessed, at the same gain without adjusting the output gain of each individual module in the chain. This is a feature that has been available since the beginning of T-RAx. Why has it been dropped now? I'm currently having to do a clean install on my Mac and would rather not have to install my legacy purchases of T-racks just to be able to use this feature. Would be perfect for bus duties, thanks to its "RANGE" switch.